The Order Celastrales includes a diverse and poorly defined group of 12 families, 147 genera and around 2000 species of mostly tropical dicotyledenous flowering vines, shrubs and trees taking its name from the Celastraceae (staff vines). Flowers are usually small with a characteristic nectary disc. Seeds often have an aril. 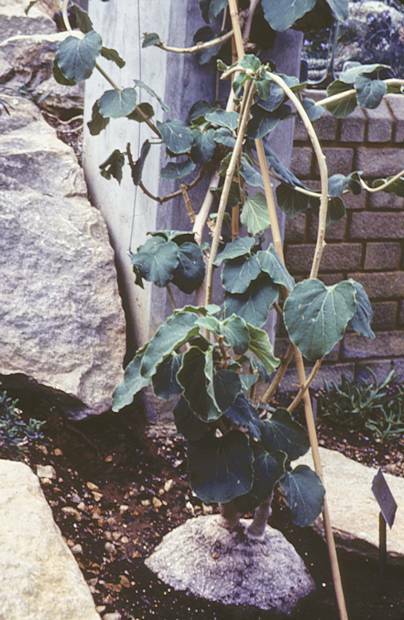 Succulent plants with large caudexes and vining top growths are found in the genus Pyrenacantha and may be of interest to collectors.